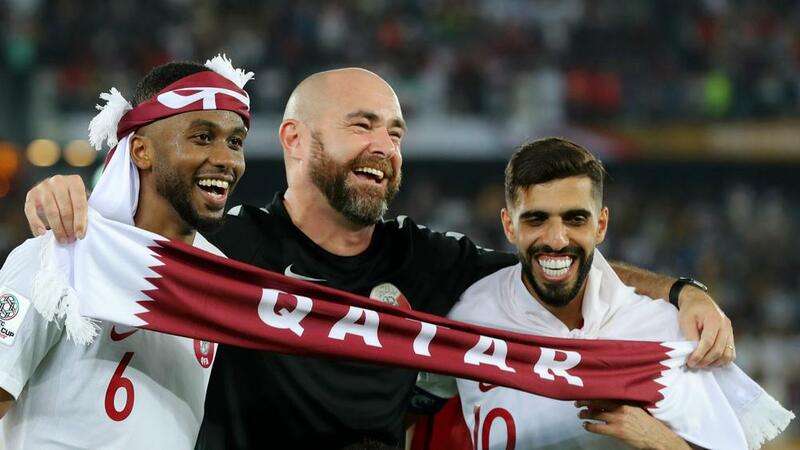 Qatar's Asian Cup-winning coach Felix Sanchez dismissed speculation he could be replaced before the 2022 World Cup. Qatar will also take part in the Copa America this year, having been invited to the South American tournament along with Japan. It has been reported Arsene Wenger has been targeted as a replacement for Sanchez, but after seeing his side make history he was unconcerned about the future. "I'm very proud to be the Qatar national team coach," he said. "Today we made history. I'm only thinking about today. It's a great day for me and the players and the country. "There's always news about this person and that person but we're focused on our work and we have the full support of the Qatar Football Association. "So no concerns about the World Cup, it's in 2022 and you don't even know what's going to happen in two weeks." Almoez Ali was named the 2019 Asian Cup MVP after his nine goals – including a stunning overhead kick opener in the final – provided a new tournament record, while Saad Al Sheeb took the top goalkeeper prize after conceding just once at the finals. "I am disappointed. Our goal here was to win the title," Moriyasu said. "I feel sad for not being able to deliver the title to Japanese people. But I am happy that we could play seven matches and develop our game more. "Our game plan in the first half didn't yield the desired results. It's my fault that the players weren't able to express themselves. In the second-half, we made few changes and were a better unit. We scored a goal but couldn't recover from the two first-half goals. "We tried a mix of young and experienced players. I want the youngsters to learn from these matches and stay hungry. This tournament will be a base for Japan to build a team for the future. I want my staff and players to be proud of the achievements in this tournament."